Ebay Madness – Babylon A.D. commands almost $200? I don’t get it. I just don’t get it. How does a person pay almost $200 for a CD that went for $30 here for a Japanese pressing and $15 here for the regular. These two auctions were found WITHOUT the periods after A and D.
So what does that teach us? Do the research! Honestly, I can get 5 copies of this right now for under $5 each, I should at least try and double the money! I saw a copy of King Kobra’s Ready to strike going for up around $120 on ebay the other day. Which is weird because you should be able to get it for under $20 at any time. I couldn’t see anything in the desciption that made it special yet this copy had several bids on it. 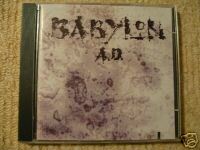 I actually have that Babylon A.D. cd… Thinking on putting it up on ebay as well… What does the “ST” stand for? Patrice – Glad you could visit. The “S/T” stands for “self-titled”, just a quick abbreviation. Even selling the CD for $10 each would make a tidy profit if I bought the ones I can get for $5 each. Btw, the kids are going to the studio this week-end and Angelo Coppola already recorded (past week-end) his 3 tracks that’ll be on CS 2…. Patrice – I checked my email account at AOL and found your update. I will email you my new contact info so Ican keep up to date on CS2. Ray – Keel albums go for big dollars but the price seems to have come down over the last couple years. There was a time when you couldn’t get THE RIGHT TO ROCK and THE FINAL FRONTIER for less than $100 minimum. 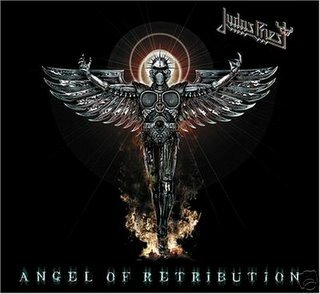 With the Metal Mayhem re-release of TRTR and the boolegs from Russia on TFF, prices have dropped a bit. Funny thing is KEEL (the self-titled 4th album) used to be very common, maybe a couple bucks. Now it goes for $30+. Beware of LAY DOWN THW LAW on CD, its a bootleg, never released on CD officially. I read an interview with Ron Keel and he said that he and Mike Varney from Shrapnel Records were getting an official CD release together for the 1st album.